While the overall news about Facebook has been somewhat grim recently, focusing mostly on privacy failures and generally creepy tracking practices, this time around we have to give Facebook credit for adding a new setting to its Android app that is actually a great thing for users. Facebook for Android has been updated with a new option to be more specific as to when the app can track your location. Previously, the only real option for Android users was the high-level yes or no to let the app track your location. The trouble there is that gave the app access to your location data whenever it wanted, regardless of if you were using the app or not. 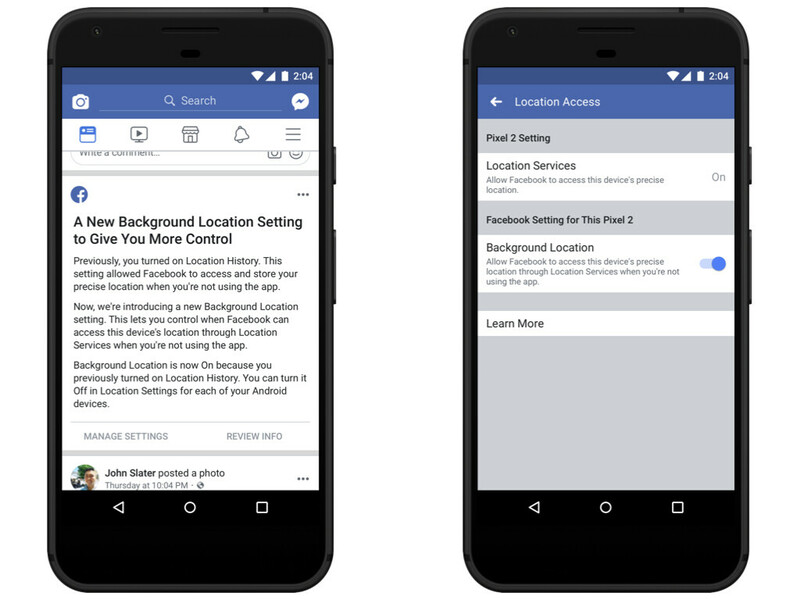 Now, Android users will be able to turn off location tracking by the Facebook app when you're not using the app and it's just running in the background. Maybe even more to Facebook's credit, the updated app will respect your current permissions settings. So, if you had previously opted out of Facebook keeping your Location History, the new background location tracking option will default to off, but if you had Location History on, this new setting will also be on by default. iOS users will already be familiar with this sort of tracking permissions breakdown since the iOS system asks users to choose if background apps can track your location. So, nothing is changing for iOS users, but Facebook will be sending a reminder prompt to iOS users to make sure the location tracking options are set the way they want. Of course, all that said, it should be noted that this only applies to the Facebook app and not to any of Facebook's other apps. If you have location settings turned on in Instagram, Facebook Messenger, WhatsApp, or any of Facebook's other apps, it is still an all-or-nothing decision on Android whether or not to share your location or not.